Developed for resistance to 2,4-D herbicide technology, and building on the glyphosate-tolerant system, the Enlist Weed Control System is slated to be introduced in cotton in the 2016 growing season. Company representatives say those plans haven’t changed, despite developments related to the technology’s introduction. In the spring of 2013, USDA announced its intentions to prepare an environmental impact statement for Enlist corn and soybeans (but not cotton) “to better inform decision making regarding the regulatory status of crops genetically engineered to be resistant to 2,4-D.” Still, representatives at Dow say they are proceeding as planned with regards to their new technology, and that Enlist cotton is right on track. 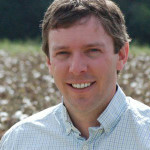 “We anticipate a 2016 launch for Enlist in cotton, pending regulatory approvals,” says Jonathan Siebert, Ph.D., Enlist field specialist for Dow AgroSciences. “Right now we’re spending a tremendous amount of effort on preparing the marketplace for the launch of these technologies, and a big part of that is the educational process. We’re trying to teach people about proper use of the technology, stewardship and weed resistance management,” Siebert says. The company is laying out a strategic, multi-platform plan to educate growers on the technology. In the past two years, Dow has conducted technology centers throughout the Midwest as Enlist has been preparing for release in other crops. In 2014, the company plans to bring five such technology centers to key Cotton Belt locations – one each in North Carolina, Georgia, Mississippi, as well as in Lubbock and College Station in Texas. Siebert says that part of the message he and his colleagues will try to convey are the technology advancements within the Enlist Weed Control System. And of course, Siebert and his colleagues will be reassuring cotton growers that the system is very effective against cotton’s major weed pests. For now, the company continues to test to make sure the technology will be available in good, high performing PhytoGen cotton varieties by the time the Enlist Weed Control System is given the green light by USDA.